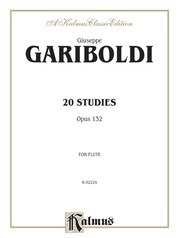 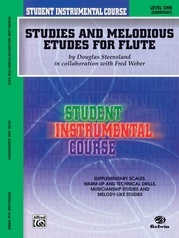 Part of the Belwin Master Solos series and prepared under the direction of Keith Snell, each of these folios contains a collection of graded solos that should prove to be a useful source for both student and teacher. Each folio contains works from the Renaissance, Baroque, and Classical periods, folk songs and traditional tunes, and a section of original compositions. 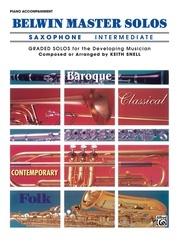 For the student, these solos will provide material with specific challenges in rhythm, range, and key signatures in music that is both instructive and enjoyable to perform. 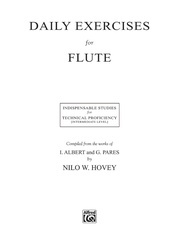 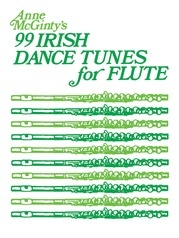 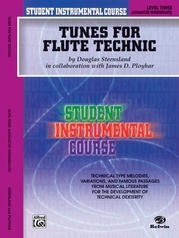 Each solo has been selected and arranged to challenge the student in different areas of technique and musicianship while providing exposure to a variety of musical styles that are enjoyable to perform. In addition, special attention has been given to creating accompaniments that are easy to play yet at the same time add interest to the solo parts. Available in easy, intermediate, and advanced levels as are the Belwin Master Duets. Contains: Bouree (Telemann) * Burlesque (Mozart) * Elegy (Tyndall) * Jeanetta Waltz (Barber) * Night Song (Haydn) * The Pedlar (Russian Folk Song) * Processional (Daquin) * Rigaudon (Bohm) * Rondo (Snell) * Sarabande (Speer) * Three Chinese Folk Songs (Song of Hoe/The Filial Crow/Ballad of the Yellow Sun) (Traditional).